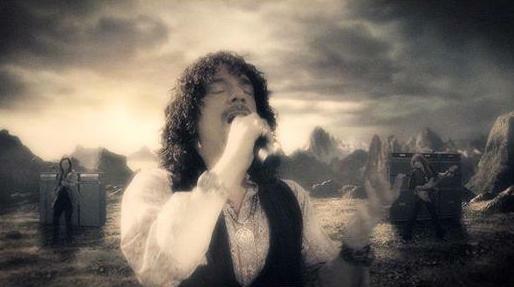 HEAVEN & EARTH–guitarist STUART SMITH, singer JOE RETTA, bassist CHUCK WRIGHT, drummer RICHIE ONORI and keyboardist ARLAN SCHIERBAUM–bring you their video for the second single and power ballad, “I Don’t Know What Love Is” from their critically acclaimed album Dig released April 23, 2013 on Quarto Valley Records. The video–directed by Glen Wexler (Van Halen, Black Sabbath, and Michael Jackson) and produced by Jeremy Alter and Meiert Avis of Pusher Media (U2, Bruce Springsteen, Bob Dylan and Evanescence)–was exclusively premiered on GuitarPlayer.com and MelodicRock.com this past Friday (July 26). The music video–featuring special guest appearances by actors Angelina Vitale, Derek DuChense and Tiffany Phillips–continues the story of two lovers trying to connect throughout time. “I Don’t Know What Love Is” is the follow-up to the success of HEAVEN & EARTH’s first video for “No Money, No Love,” which has received more than 500,000 plays to date and can be viewed HERE. HEAVEN & EARTH fuse elements of hard rock, blues and bits of classical with bravado and a razor-sharp focus. The band’s critically acclaimed album, Dig, was produced by Dave Jenkins, who’s worked with everyone from Metallica to Tower of Power and features special guests Howard Leese (Heart, Paul Rodgers), Richie Sambora (Bon Jovi), and David Paich (Toto). BRAVEWORDS.COM exclaimed, “Stu’s [Stuart Smith] finally got a full-blown classic on his hands, a plush, expensive sounding (and looking) album…” (5/21). THE AQUARIAN WEEKLY noted, “Dig is an album that fits in with ease in the modern age of music, and fuses tradition with innovation in a manner that is sure to get any rock fan’s senses tingling. In A Word: Robust” (4/3) and POWERLINEMAG.COM added, “Dig…is filled to the brim with power rock — arena-sized and loud — exactly what the doctor ordered…” (5/31). More praise for the album below. The origins of HEAVEN & EARTH align the band’s founder and visionary, Stuart Smith, with a rich lineage of rock’s most celebrated musicians. Kelly Hansen (Foreigner), Joe Lynn Turner (Rainbow) and Kelly Keeling (King Kobra) all fronted the band at various junctures. Guitarists Richie Sambora (Bon Jovi) and Howard Leese (Heart, Paul Rodgers), singer and bassist Glenn Hughes (Deep Purple, Black Country Communion), bassist Steve Priest (Sweet) and drummer Carmine Appice (Jeff Beck Group/Vanilla Fudge/Rod Stewart), among others, have each contributed their extraordinary talents to HEAVEN & EARTH’s first two albums: Heaven & Earth Featuring Stuart Smith (1994) and Windows to the World (2000). 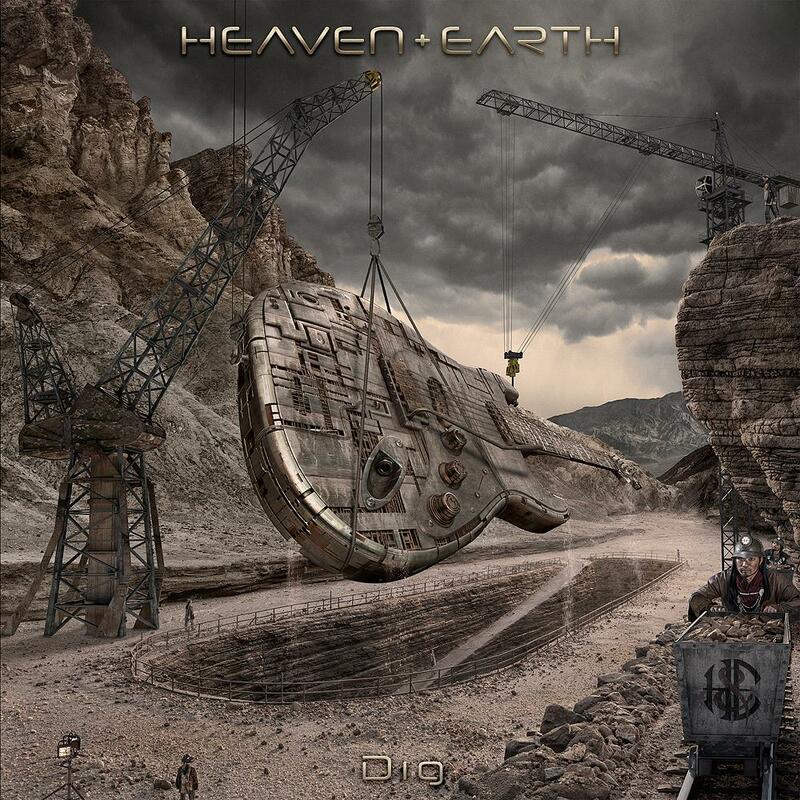 HEAVEN & EARTH’s groundbreaking debut album, Heaven & Earth Featuring Stuart Smith, is considered a cult classic and brought Smith to the forefront of the guitar elite being compared in the press to Deep Purple’s Ritchie Blackmore, Jeff Beck, Eric Clapton and Jimmy Page and garnering Smith the award for “Best Guitarist” and “Best New CD” for three years running at the Los Angeles All Access Music Awards. In the summer of 2012, the guitarist set out to mold HEAVEN & EARTH into a world-class recording and touring band which led to the recording of their new album Dig and now the future has never looked brighter for the band. “…it has been quite some time anyone has heard a solid album’s worth of this particular style of music — majestic, triumphant, straight forward rock, without any of today’s assembly line, paint-by-numbers blandness…Dig offers up 12 compositions, that will…satisfy…fans of solid musicianship, excellent songwriting skills, and music that stands above whatever is being passed off as rock music today…Retta’s vocals are dynamic, and strong, an excellent choice to deliver these songs. He sings with confident conviction, a trait necessary for this style of hard rocking, but always melodic, rock and roll…Music of this caliber deserves to be heard. “If you’re a fan of classic rock, and you’re looking for a new band to get excited about, look no further than the melodic rock quintet – Heaven & Earth…This [Dig] 12 track, epic retro-rock masterpiece is an uncompromising throw back to the vintage sounds of the 1980’s versions of Rainbow and Bad Company, in sound, style and musicianship…Every song can stand on its own and sadly, that’s really not very common nowadays. This entry was posted in Heaven & Earth, Press Releases. Bookmark the permalink.